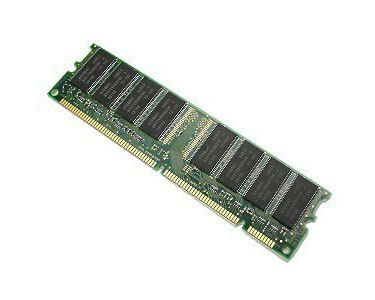 1GB PC-2700 184pin DIMM internal memory module for the Apple computer systems shown in the table below. This unit is backwardly compatible with PC-2100 memory i.e. it will work in any system capable of running PC-2100 memory. * The iMac G4 has two memory slots, the lower slot which is classed as user upgradeable by Apple, and the top slot which takes a different format memory and requires the removal of the whole bottom of the iMac.